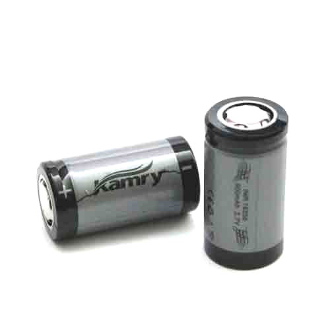 With a capacity of 900mAh and a voltage of 3.7, the 18350 IMR lithium ion batteries from Kamry is a small battery that packs a punch. It works very well with MODs like the K-100. It has a high discharge rate and can be charged with any Efest Charger or also with the Kamry Single Bay Universal Dry Battery Charger.